The social responsibility of musical artists is one of the most long debated discussions in entertainment history. Some artists simply do not care about social change, which is frightening from a personal standpoint. Some performers do not feel they have the depth to address political issues. Others merely want the focus on the art. But when an artist wants to portray himself or herself as a social curator, then certainly the public expects the artist to be in sync with the tide (no pun intended) of the people. Enter Shawn Carter. Jay Z finds comfort in comparing his endeavors to some of the greatest movements known to humanity—the Holy Grail, the Magna Carta, and the influence of the Rockefeller family. Being that we are currently experiencing arguably the initial 21st Century wave of the Civil Rights Movement, it seems logical that Jay Z would be itching to be in the fold. But his comments and actions suggest otherwise. Let’s get this cleared—you are not Barack Hussein Obama II. So no, we will not imagine your schedule in comparison to his. The bigger concern is that all great movements started with a protest. From the Boston Tea Party to Ferguson, we are constantly reminded why the Constitutional framers made the right to peaceful assembly among first right bestowed upon citizens. Meeting with elected officials is important, but most effective non-politicians who were able to influence lawmakers were tangible to the protestors. Dr. Martin Luther King was known in the White House, but he also marched for miles with the common folk in the scorching heat of the Jim Crow South. What good is talking to a politician if you do not even organize with the people who have brought this issue to your attention? New York Governor Andrew Cuomo is only a small and possibly temporal solution to a centuries-old problem. The fact that Missouri was at the center of his statement, and he then begins to discuss New York shows how vast this issue is. We are seeing an all-out attack on the black male that calls for federal reform. It is not enough to say, “I met with one governor of one state one time. I did my part.” No. This current movement will take continual efforts. It will take more protests and more visits to federal lawmakers. No one should expect Jay Z to make this movement his sole responsibility; however, it raises concerns that he can be so entrenched in the plight of another group’s history and not his own. The Magna Carter that Jay Z has drawn inspiration from was actually enacted in response to rebels, i.e. zealous English protestors, who were demanding that their government respect their humanity. John D. Rockefeller, a businessman who has greatly influenced Jay Z, was a self-made man. Rockefeller was not in the trenches everyday to support his philanthropic interests, but he maintained close relations with the foot soldiers so he could gauge the needs of people. 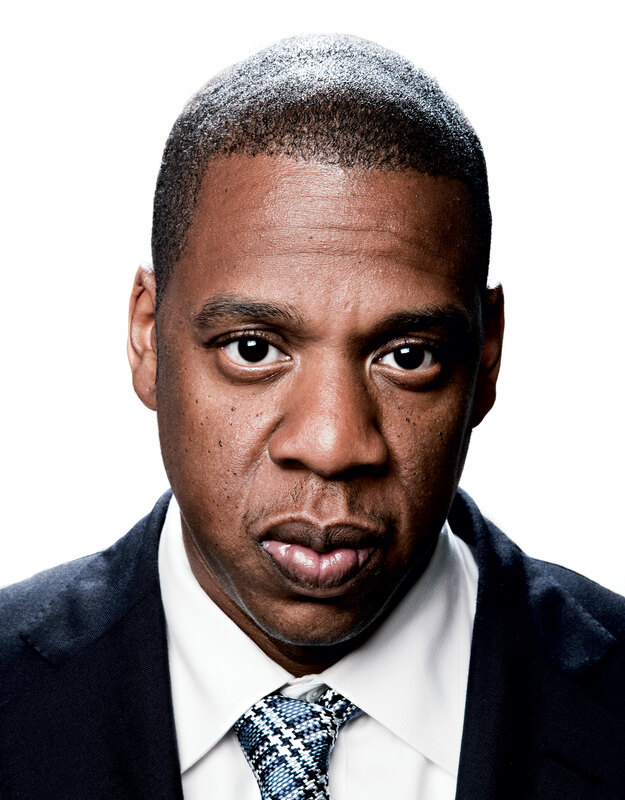 Now, certainly Jay Z has mentioned struggles as a black man. He married a black woman with whom he has a black child. He is an entertainer whose work output is synonymous with black culture. We know Jay Z has no issue with being black. But it is unsettling that he takes such effort to glorify centuries-old history of white struggles and sit on his hands in 2015. The present occurrences are not glamorous and do not even feel good. Nevertheless, Michael Brown and Eric Garner look a lot more like Jay Z than John, King of England. We know you have some awareness that protesting does work because you essentially lifted last fall’s social media protests and applied it to marketing your streaming TIDAL. Everything from organizing various music artists to encouraging Twitter and Instagram users to type a specific hashtag, you obviously know protesting does work. We did not hear you say that you talked to the label head once about securing better rights for artists and washed your hands of it after the meeting. No, you worked from the ground up to find your own solution. Nothing wrong with that, but is that not protesting in some fashion? If Jay Z does not want to protest, it is his right. But to imply that meeting with a limited-capacity official once somehow supersedes the efforts people risking their lives is quite smug to put it nicely. Then to commercialize the efforts for your gain while still downplaying the work of those who brought these struggles to the attention of you and the rest of the world is pompous. Think about what you said in your song “Justify My Thug”: “I never asked for nothin’ I don’t demand of myself/Honesty, loyalty, friends and then wealth.” We just want to see you hold true to that Jay. I’m trying to see what he missed? Why does he have to do it the way people think it should be done? I like the diversified approach. FYI: Rockefeller was a ruthless, union breaking, gangster. He kept henchman around to spy on the common folk. It wasn’t until his latter years — when he was one of the top 5 richest men in the world and owned the country –THEN he became a philanthropist. I find it problematic when people center their focus on what Jay-Z, Oprah, and Will Smith are or should be doing, when whatever they do is going to be a drop in the bucket. The Koch brothers, etc., should be illuminated for the insidious real life gangster actions they take on our so called civil liberties daily. I know the Koch brothers article won’t get the clicks the Knowles-Carter, et al elicit, but those are the stories we as a people need to read about. Ganging up on our own is silly. What he missed is how pompous is what to dismiss the efforts of people who have been protesting on the ground. What he missed is that he has indirectly celebrated protestors who changed the world during the 13th century via the Magna Carta but implied that protestors cannot effectively do the same in Ferguson and other areas in the 21st century. If you would read the article, I directly stated, “If Jay Z does not want to protest, it is his right.” So there is no issue with diversity to the approach. In fact, the piece is asking Jay not to think his approach is superior to other methods. Never did I say that Rockefeller was without personal flaws. The man YOU are defending started the Rockefeller similitudes. Certainly Mr. Carter and Mr. Rockefeller have both been honest that they have undergone some character rehabilitation. The parallel was to show that Rockefeller’s evolution was not only economic but also social. Again, the piece noted that it is not Jay’s sole responsibility to advance this movement. He is not expected to be on the ground everyday. Because HE chose to reveal that he met with an elected official to discuss a movement that involves thousands, the blog is saying that he cannot be entirely effective if he does not have communication with people who are on the ground. HE prides himself on being cultured and being the face of a generation—dialogues on the movement such the one occurring now are apart of that. The write-up about Jay was never an attack on his economic ventures, such as the criticisms given to the Koch Brothers. It was to show that he CHOSE to use his platform to criticize an effort that is already highly misunderstood. No one forced these words on him. He made that decision. Then he took the digital elements of the movement and used it as a marketing tool for TIDAL. He created the contentious dichotomy to criticize modern protesting and then use concept for a product. This blog has a series on a man, Marvin Gaye, who had been deceased 31 years, a series that makes reference to Richard Wright, and a series that draws influence from Frances Ellen Watkins Harper. There is only one article that makes reference to Jay Z. So certainly the intent of this blog was not to be relegated to contemporary entertainment personalities. A Koch Brothers article could get millions of hits. A quick Google search shows that they are a leading discussion in major publications throughout the country. Being that America is a capitalist-driven society, the fact their name is rarely mentioned on one arm of Twitter does not mean there controversial tactics do not draw a crowd. After all, The Honeycomb Edition is a young blog. You never know what we might talk about. Keep visiting and thanks for the support!